Don't expect any U.S.-made iPhones yet, but electronics supplier Foxconn Technology Group is expanding its manufacturing presence in the nation with a new US$40 million investment to tap research and talent in Pennsylvania. The manufacturing giant made the announcement late on Thursday, at a time when its CEO Terry Gou has been visiting the U.S. as part of a Taiwanese trade delegation. Foxconn, best known as the maker of Apple's iPhone and iPad, plans to spend $30 million over the next two years to expand its existing office in Harrisburg, Pennsylvania. The investment will involve hiring 500 employees, the company said in an email. In addition, Foxconn wants to draw upon robotics research at Pennsylvania's Carnegie Mellon University, by giving $10 million in funding to the institution. The Taiwanese company denied the investments were related to serving a specific customer. In addition to serving Apple, Foxconn also makes tablets for Amazon, TVs for Sharp, and game consoles for Sony and Microsoft. Instead, the company is taking advantage of President Barack Obama's push to move the U.S. into advanced manufacturing. Foxconn's CEO wants his firm to establish a "high-value" production base in the nation to help it build electronics with the use of automation. It's unclear which products it will make at the Harrisburg facility, which previously focused on research. But bringing more high-end manufacturing to the U.S. will lower Foxconn's manufacturing and transportation costs, potentially making electronics more affordable for local consumers, Foxconn said. The manufactured products, however, will go beyond the consumer space and into fields such as medical and automotive equipment. Earlier this month, Foxconn said it was exploring establishing a manufacturing base in Arizona to possibly build display panels. The company is also considering technology partnerships in Virginia and New Jersey. Such investments could mean more Foxconn manufactured products will receive a "Made in U.S." label, a trend starting to form among tech vendors. Apple is trying to relocate more of its product manufacturing to the U.S., and Motorola has marketed its Moto X handset as the first smartphone to be assembled in the U.S.
Foxconn doesn't plan on abandoning its Chinese workforce anytime soon. The company employs over 1 million workers in the nation, allowing it to churn out large volumes of assembled products. The company has, however, been eyeing automation technologies, with the hopes of using a "robot army" at its facilities one day. 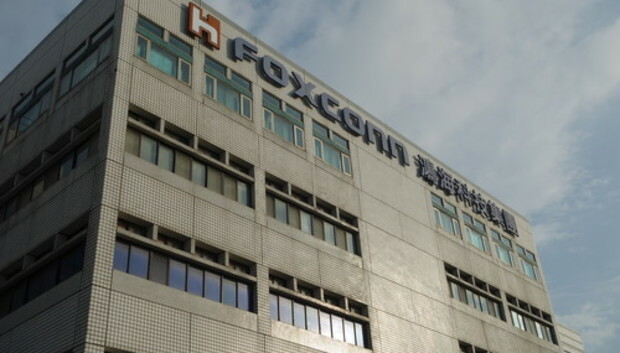 At the same time, Foxconn has been investing more in its research capabilities, including software development, as a way to incorporate more features into the products it builds for its vendor customers.